Flexible car parking solutions. That’s Ace. If you’re looking for a stress-free and consistent car park management solution, a lease or license model could be the ideal option. 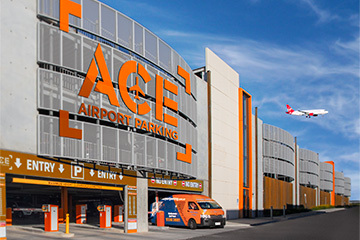 By assigning Ace Parking to operate your site as a car park, you can sit back and enjoy a consistent return without effort. While both a lease and licence involve a fixed sum in return for assignment, general differences are that a lease agreement is similar to a retail tenancy, based on a longer fixed term (usually 3 – 5 years), with exclusivity assigned to Ace Parking including a renewal option. This provides stability and consistency to both the car park owner and Ace Parking. A licence agreement, although similar in principle to a lease, tends to be a shorter term (can be monthly or fixed for 1 – 3 years) and less restrictive for both parties. This makes it an ideal solution for sites that cannot commit to a long term arrangement, particularly when it’s development future is delayed or unclear. If you’re seeking an arrangement that is more flexible, involves external investment or allows for a share in the profit of the car park, then a Joint Venture Agreement could provide a better business solution for your needs. Profit Share / Joint Venture Agreements are becoming increasingly popular with organisations looking for increased flexibility and transparency in service delivery. A Joint Venture Agreement works on an agreed profit share basis of the parking equipment receipts/audits. Parking Equipment is regularly verified for accuracy and documented electronically, providing a range of payment options for customers including Coin, Cash, Credit Card and Mobile Phone payment options. Joint Venture or Profit Share Agreements are negotiated with both parties agreeing to their input to the project, which may include public liability insurance; site works and line marking; supply, install and maintenance of equipment; ticket, stationery and signage provision; advertising and marketing; parking patrols and statutory outgoings.